At Fuller Law, clients from the Bay Area receive aggressive and quality representation. Mr. Fuller is a top-rated attorney representing criminal defendants and injury victims. When a client first becomes aware that he or she is a target in a Criminal investigation it is important that they seek out knowledgeable representation. A criminal case can take months to wind through various pretial stages while an investigation takes place. Often overlooked by many clients and attorneys alike, a case can be won or lost before the client even enters the courtroom by maneuvering the case and navigating it through the vast bureaucracy that is our court system. Can anyone ever win a DUI case? Yes. It is not only possible to get DUI charges reduced, but in some cases we are able to get them dismissed entirely. A number of DUI defenses have proven successful in prior cases including arguing constitutional violations and challegning blood alcohol concentration measurements. Our office reviews police reports for inconsistencies and lapses in procedure. We also request complete disclosure regarding the device used to test your blood alcohol level, the personnel involved in the maintenance and operation of the device, and the lab certification. Born and raised in Santa Clara County and educated at Bel-armine and Santa Clara University, Mr. Fuller has first hand expertise in negotiating the labyrinth and byzantine nature of the Bay Area court system. 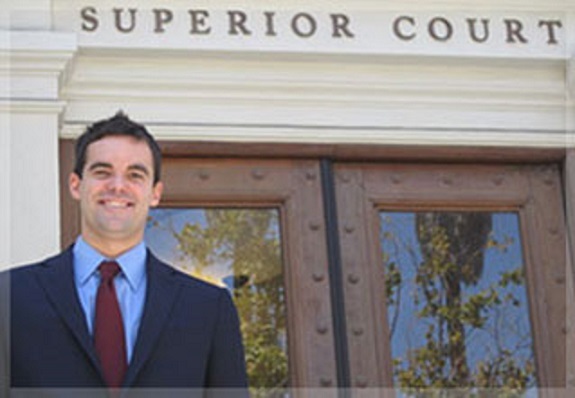 Mr. Fuller graduated Santa Clara University as a member of the National Political Science Honor's Society and was a Jesuit Scholarship recipient. Mr. Fuller studied Spanish and Political Science extensively at the University of Alicante, Spain as well as International Law in Paris. These international experiences have left Mr. Fuller well prepared and sensitive to the needs of foreign-born clients. Mr. Fuller brings passion and savvy to representing individuals, fighting against large entities such as the State or insurance companies. B.S. Political Science Santa Clara University, 1999.